You get what you pay for” and “more bang for your buck” are common clichés associated with money, value, and quality. Usually “you get what you pay for” implies something on the cheaper end of the scale — you paid less money, you should expect less quality. “More bang for your buck,” it can be argued, is the polar opposite: The dollars you spend are getting the absolute best quality or most quantity. So, the question becomes, is it possible to get the most bang for your buck while simultaneously paying a reasonable or even lesser amount for the same good or service? Quality makes AMRI stand out. From the clarity and resolution of the images to the convenience factor, AMRI offers the best services in the community for getting the most bang for your buck. Magnetic resonance imaging (MRI) uses a magnetic field to generate images of a specific part of a patient’s anatomy — the knee or shoulder or brain, for example. 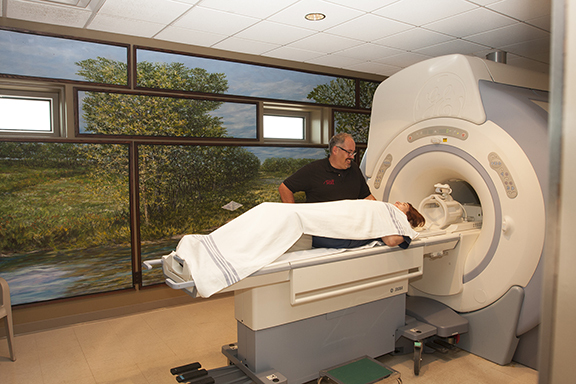 The quality of an MRI is partially based on the strength of the magnetic field. The stronger the magnet, the better the image. Magnetic field strength is measured in units called teslas. One tesla is the typical magnetic strength for junkyard magnets that pick up and move cars. Open MRI machines (where the patient is not completely surrounded by the machine) range in strength from 0.2 to 1.0T. A standard, closed-MRI machine is 1.5T. The highest-strength magnetic field that is approved for clinical use is 3T, the strength of AMRI’s machine. Higher strength machines exist, but they are used for research purposes only. “The benefit of having a strong magnet is that it provides a strong signal,” explains Dr. Wayne Maness, Medical Director at AMRI. The increase in the strength of the signal corresponds to a decrease in the time needed for the test to be completed, an increase in resolution, or a combination of both. 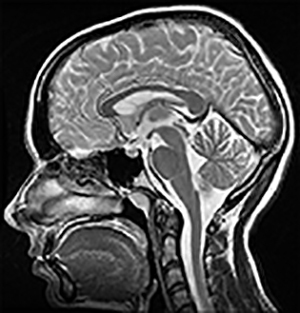 Simply put, this means the patient can get higher-quality images but spend less time in the machine than they would at lower-strength MRI scanners. Other advantages for patients at AMRI include factors that make appointments very convenient. There is no waiting time — they schedule one patient at a time, so your appointment begins when your appointment is scheduled. You won’t get bumped for an emergency case, nor will you have to navigate through other offices or areas to get to their office. You park in the parking lot; you walk into their office in just a few steps. Knowing they have to work a little harder to have patients use their services, Advanced MRI goes above and beyond to help patients understand the various costs of their testing. “Our staff relates very well to patients,” Dr. Manness goes on to say. Patients are getting better at shopping around for medical services such as MRI by calling different facilities to find out what the total cost and any out-of-pocket payment would be. But, patients don’t always know their status with their insurance plan or where they are with their deductible for the year, or if they have a co-pay up to a certain level. 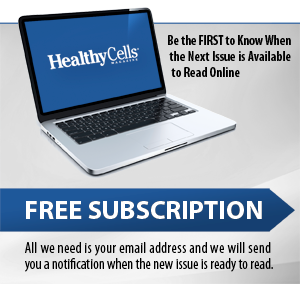 This is important information to know for each medical need throughout the year. At AMRI, patients who do not have insurance or their insurance will not cover the MRI can take advantage of a 50-percent self-pay discount, which helps the patients get the diagnostic images they need at an affordable rate. Most insurance companies require preauthorization for testing and treatment. The provider calls the insurance company to request authorization; the request includes the patient’s name, the medical issue (cause for the request), the type of test, and the location the test will be performed. Even if the referring provider’s office makes the call to the insurance company, patients can choose where they want the test performed, and need to tell physician’s staff what their preference is. Again, as long as the preferred location is in the insurance provider’s network, it will qualify. A few complications in the preauthorization process can arise: the preauthorization for the procedure becomes tied to a specific facility. The patient may not tell (or may not know to tell) their referring provider’s staff where they want to have the images done. In order to change the location later, the insurance company usually requires an amended preauthorization request. For this reason, it’s a good idea to do your homework ahead of time and know where you would like to go before the test is preauthorized. Further issues arise, especially in the case of getting an MRI, if the images are not clear enough or not high enough resolution for the doctor to see what needs to be seen. The patient might need another MRI, and the insurance company refuses to authorize or pay because the patient just had an MRI. The insurance company, in other words, doesn’t determine the quality of the MRI scan; it simply reimburses the negotiated cost according to the contract and usually has limits on how many and how often they will do this. This means the patient is stuck paying for a second MRI out of their own pocket. In cases such as this, AMRI’s cash discount helps, but it’s always best to make sure the preauthorization includes the preferred provider for MRI services (e.g., AMRI) in the first place. Although it may be convenient to simply walk down the hallway and have your test done on your doctor’s own MRI scanner, keep in mind that the strongest MRI machine — and the only 3T scanner in Bloomington/Normal — is at AMRI. Their patients appreciate it. Patient surveys consistently come back with very high ratings in all areas, especially patient satisfaction. Furthermore, according to the survey results, more than 98 percent of patients would recommend AMRI to friends and family members. That kind of word of mouth is the gold seal of approval regarding quality and value, showing that Advanced MRI consistently offers excellent quality and value for their patients’ insurance dollars. 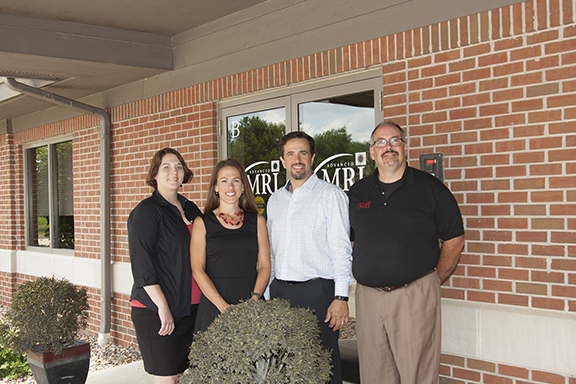 Advanced MRI is located at 1709 Jumer Drive, Suite B, in Bloomington. Call 309-665-0640 for more information. When it comes to “cost” in healthcare, the term can mean different things, depending on who’s asking. When a patient asks about the cost of a procedure or test, they typically want to know how much they will have to pay out-of-pocket. To a healthcare provider, “cost” usually means the amount of overhead they incur to provide the service, including equipment, staff, administrative, and building expenses. “Cost” to an insurance company usually means the amount they are willing to pay for a service. Healthcare provider (or practitioner) — The doctor, nurse, nurse practitioner, or other healthcare professional who cares for the patient and orders the follow-up exams or tests. Imaging provider — A specific subtype of healthcare provider — the office or facility that performs the x-ray, CT, MRI, or other imaging test. This is usually a radiologist, a radiology group, or a hospital. In-network versus out-of-network — A physician (or other provider) is “in-network” if they have signed a contract with the insurance plan to provide services. The physician/provider is “out-of-network” if they have not entered a contract with that plan. Gross charge (fee) — The amount that the provider sets as the fee for their services. However, this is not the same as the patient’s “cost,” and it is almost never the actual rate paid to the provider. The gross charge can be thought of as the starting point for negotiating the amount of the discount that the provider will accept from the insurance company. Almost all insurance plans have negotiated discounted rates with in-network providers. The plans with fixed fees (non-negotiated rates) are government-sponsored plans (such as Medicare and Medicaid). Payment amounts for these plans are set, and revised yearly, by the governing body. For many tests and procedures, including MRI scans, these plans reimburse less than the actual overhead expenses incurred by the provider. Patients can usually ignore the gross charge, as long as the provider is in-network with the patient’s insurance plan and the insurance authorizes coverage for the procedure. If the provider is out-of-network, or if the insurance plan denies coverage, or if there is no insurance, then the gross charge becomes much more important — the patient may be responsible for the full amount! The math is simple, but we still have not answered the patient’s first question regarding how much the test or procedure will cost. Although the true cost is the maximum amount that the patient plus their insurance company will pay for the service, we still don’t know who pays which portion — how much does insurance pay and how much is left for the patient to pay? Out-of-pocket expense — this is the portion of the true cost that the patient has to pay, and is usually the amount a patient wants to know when he or she asks “how much does this cost?” Calculating this amount is a bit more complicated, due to variations in the specific insurance plans. Even when patients have the same insurance company, they may have different deductibles or co-pay amounts. For example, Patients A, B, and C have the same insurance provider and need the same test, but their out-of-pocket costs vary drastically due to the different plans. In this example, Patient A has met the deductible and has no co-pay, so there is no out-of-pocket expense. Patient B has not met the deductible, so the entire $650 must be paid out-of-pocket (assuming there is $650 or more left before meeting the deductible). Patient C has met the deductible, but has a 30-percent co-pay and has an out-of-pocket cost of $195. Planning finances for healthcare can be challenging. Monitoring the status of your deductible and knowing your co-pay are essential items for effective financial planning. Calculating the out-of-pocket expense is another very useful tool.